An usher holds a baton to guide attendees towards the AGM of advertising agency WPP in London, Britain, June 13, 2018. 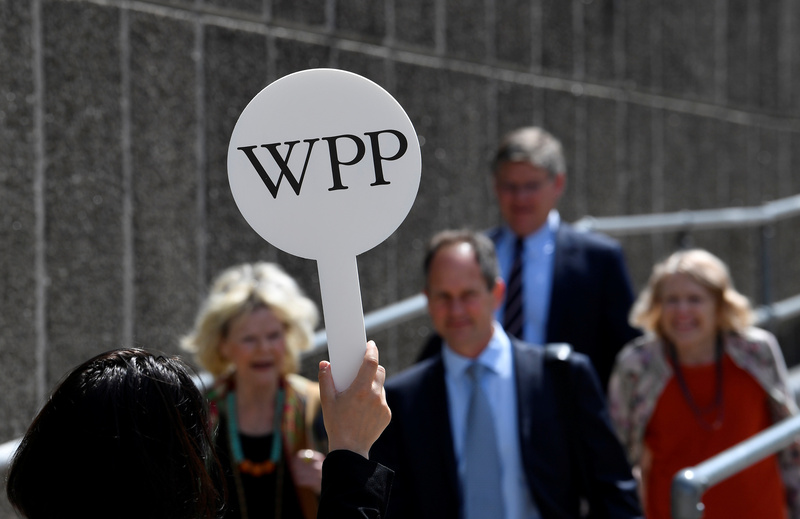 Private equity groups Advent and Blackstone are in talks with advertising group WPP about buying a majority stake in its data analytics unit Kantar, Reuters exclusively reported on March 19 citing four sources familiar with the matter. Hellman & Friedman and CVC Capital Partners are also working on the deal, Reuters reported, while Bain Capital has also expressed interest. It might decide later to team up with one of the other buyout funds instead. The sale, led by Goldman Sachs, may value Kantar at up to 3.5 billion pounds ($4.7 billion), the Reuters report stated. WPP wants to sell a majority stake in Kantar to reduce debt. Kantar is a leading player in market research, providing brand and marketing communications research for some of the world's largest advertisers. WPP shares were up 1.4 percent to 8.75 pounds at 1430 GMT on March 19.